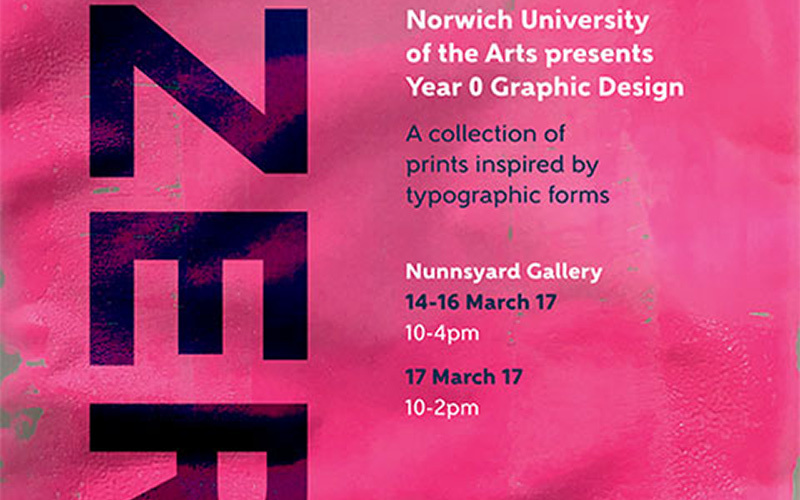 Year 0 BA (Hons) Graphic Design students exhibited print work in local gallery Nunnsyard, Norwich. A-Zero showcased a collection of prints inspired by typographic forms created by students in their first year of study. The exhibition opened to the public from 14 – 17 March 2017.